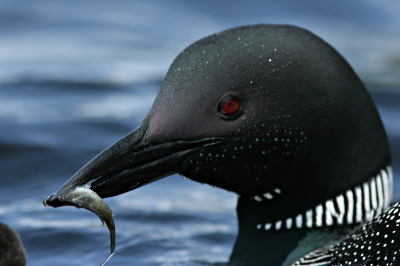 An In-Depth Peek into the Common Loon's Fascinating, often Mysterious Behaviors. Learn about the Life Cycle of these Magnificent Waterbirds! Featuring a very special and most Endearing young loon named, GRAPENUT! Based on The True Story Of "Adventures With Grapenut" To learn more see our book page! Updated NOVEMBER 2017 New photos and videos of Loon behaviors. Extraordinary Encounters with Loons, and a short visit with Grapenut. A spectacular multi-media (slides and video) show featuring video clips of seldom seen loon behaviors on various lakes throughout New England. You will feel as if you are sitting in the kayak with the Loonman, viewing these incredible behaviors up close and personal. Follow these comical Loon twins from the day they are born until they migrate to the ocean 6 months later from the mostly frozen lake! You'll see video of Loon adults and chicks swimming under water. The close-up photos and videos allow you to experience all the thrills without getting wet! Updated NOVEMBER 2017 with photos and videos of Loon Behaviors. 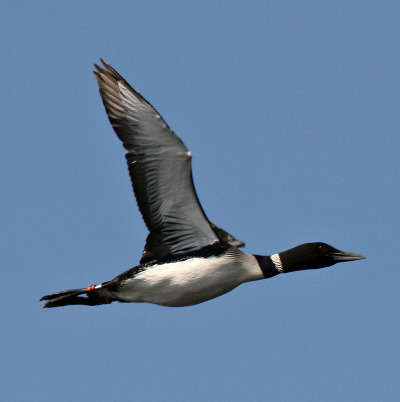 In this show we follow 2 different Loon families on 2 different NH lakes over a 6 month period. You will see close-up photos and videos of Loon family daily life. You will see all the details as if you were sitting there in the kayak with John! 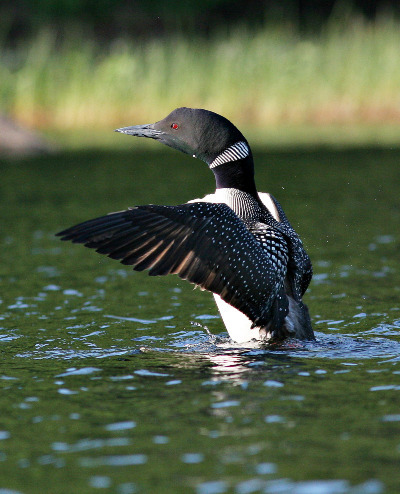 You will get to see Loons landing, taking off, swimming underwater and much more. Please Note* *** There will be no live loons in any of the shows! Loons don't survive well in captivity, except for very short periods of time! Thank you for your understanding! We are currently offering shows in New England. Depending on distance from Auburn, NH, a mileage charge may apply. Thank you for your recent donation of a portion of your sales of the book “ Adventures With Grapenut” to New Hampshire Audubon. Your gift goes a long way toward supporting the work we do to protect New Hampshire’s environment for wildlife and for people. We are continually inspired by people who share our enthusiasm for New Hampshire’s environment and wildlife.